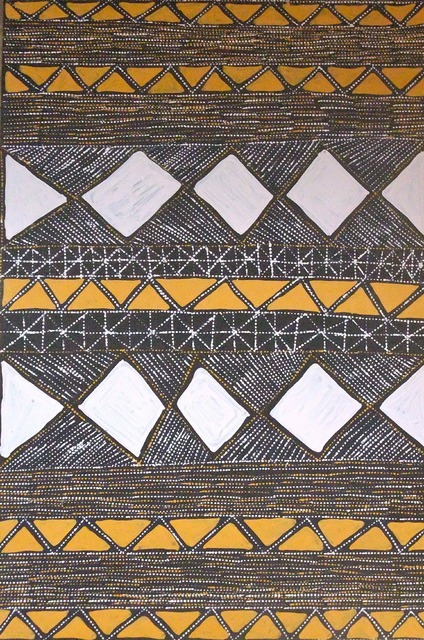 Margaret Kerinauia takes the traditional designs of the Yirrikapayi Turwara (Crocodile Tail) and renders it in vivid ochres, creating shimmering works of abstract intensity. Margaret was a finalist in the 2007 Togart Art Awards in Darwin. She paints alongside her ’Aunty’, the famous Jean Baptiste Apuatimi.